Most of the projects I’m asked to do are pretty cool, but once in awhile you get one that is extra cool. 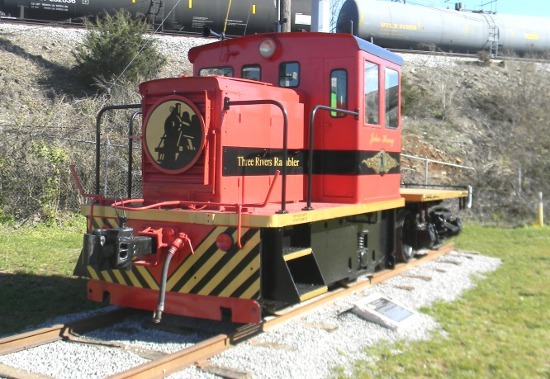 This little locomotive was originally used at a steel plant. 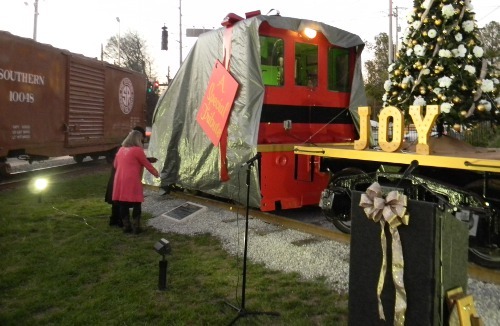 It is now on display at the Three Rivers Rambler depot in Knoxville Tn. 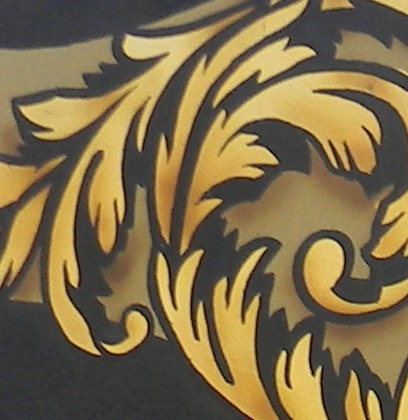 I did some gold leaf scroll work for the owners years ago, on a safe. 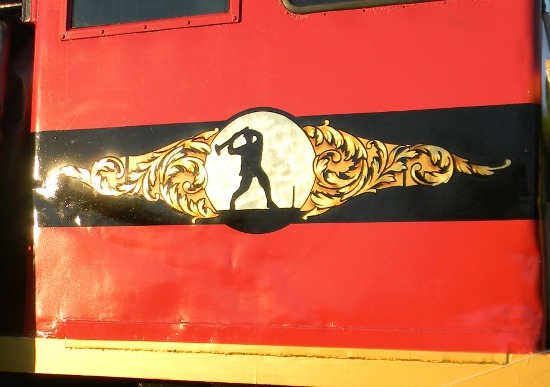 So they asked me to do something similar on this locomotive. 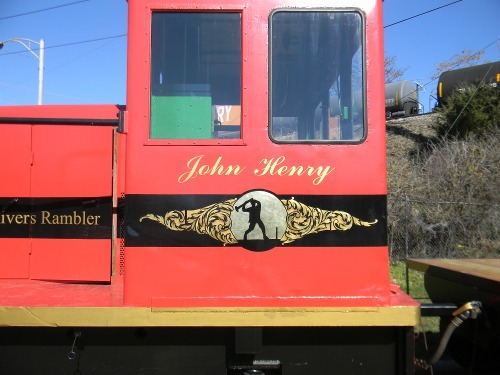 It’s now a tribute to John Henry, the legendary railroad worker. They supplied the artwork in the circle, I designed the scroll work. The center is 18 Karat gold, the scrolls are 23 Karat gold. The shading is done with asphaltum varnish, applied with an airbrush. Traditionally, it would be applied with a bristle brush; but I realized that this wasn’t a mid nineteenth century period restoration. We were using gold because it looked nice, so I could use more contemporary tools. By the way, if I recall, the airbrush was invented in the late 1800’s, for jobs like newspaper photo editing. 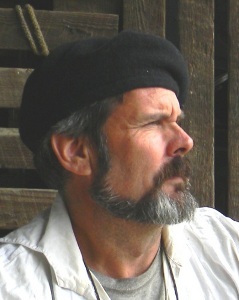 The project was done outdoors, onsite, at the onset of winter. The night air would have bad effects on my paint, so I needed a cover that would protect it, yet not lay directly on the wet finish. 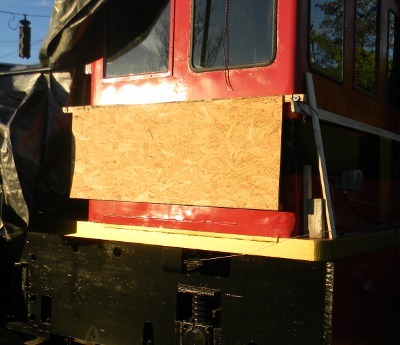 Also, the owner wanted the project kept somewhat secret until the unveiling. I came up with the idea of making it look like a big Christmas present, complete with ribbon, bow, and card. Never having done that exact thing before, it was a challenge in itself. There are probably places where I could have purchased it online, but I didn’t know if it would arrive on time. So I made them myself, then the challenge took a new turn: could I leave it on until the unveiling ceremony, and pull it off in front of the crowd? Crowd as in television crew, the Mayor, musicians, and audience. With some planning, it went off without a hitch, and I was relieved. The planning was that the small, dark colored nylon cords behind the cab would all be tied to one metal ring. The ones along the side would each have a small yellow piece of tape attached to each one. That way, I could quickly climb the back of the cab, cut all the cords there with a knife, then climb down, and as I made my way forward, I would cut the cords along the side, which were easy to find. There was a man on the other side cutting the cords there, and one in the front to help pull the large tarp off. The two of us arrived at the front and the three of us pulled the tarp off, in one single, gliding motion. It seemed to land on the ground in slow motion. 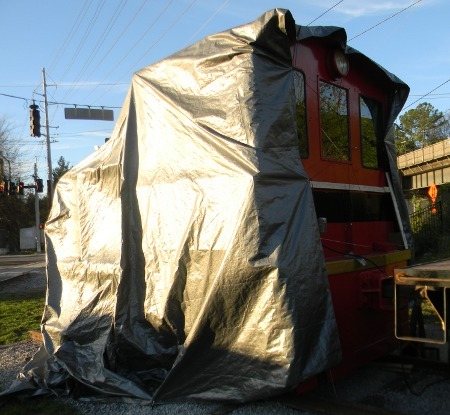 The issue was the smokestack and the horn, both of which might have snagged the tarp. 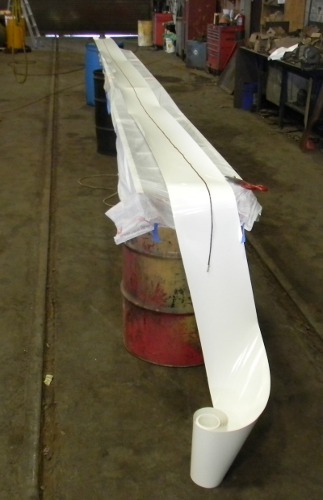 I had a long pipe nearby, in case I needed it to lift the tarp over those obstructions; but it wasn’t needed. The evening went very well. It wasn’t long and drawn out, and the Mayor gave a great speech. Normally, people try to play it safe, and not offend anyone. But Mayor Brown adjured people to remember the real reason of the holiday; that it was Christ, and to remember the displaced persons in the world with all the turmoil around the world. The musicians included Kelly Jolie. I didn’t know that was her until afterward. This gal is awesome. She did an appearance on the fundraising week of WUOT, the local public station that plays classic music. That night, on the Jazz show, she made impromptu songs up with the names of callers. She was so good that people called back, and increased their donations. If you like spontaneous, you can’t beat that episode; maybe the station has a recording.